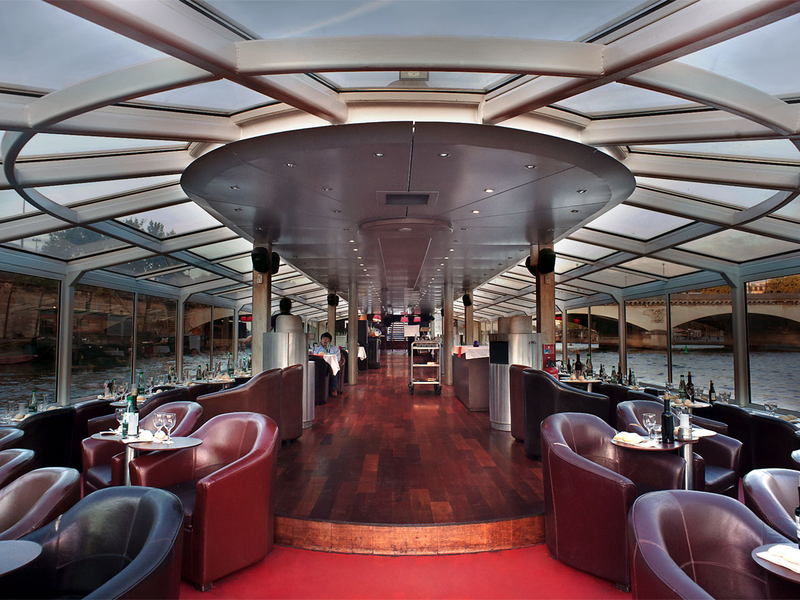 France Tourism propose you an original cruise on board of a spacious and new boat, comfortably sit in leather armchairs or the upper deck. 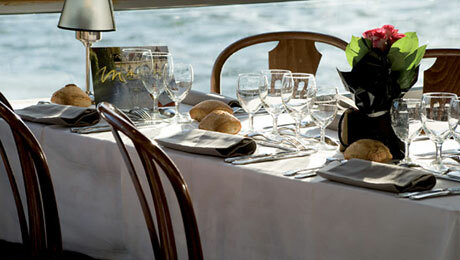 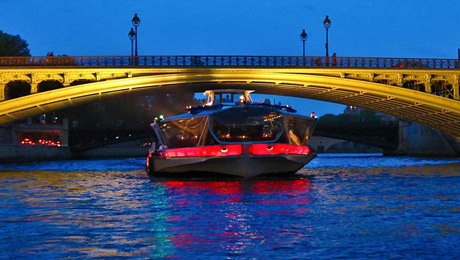 During this cruise you will admire the splendid monuments and bridges of Paris through the huge windows. 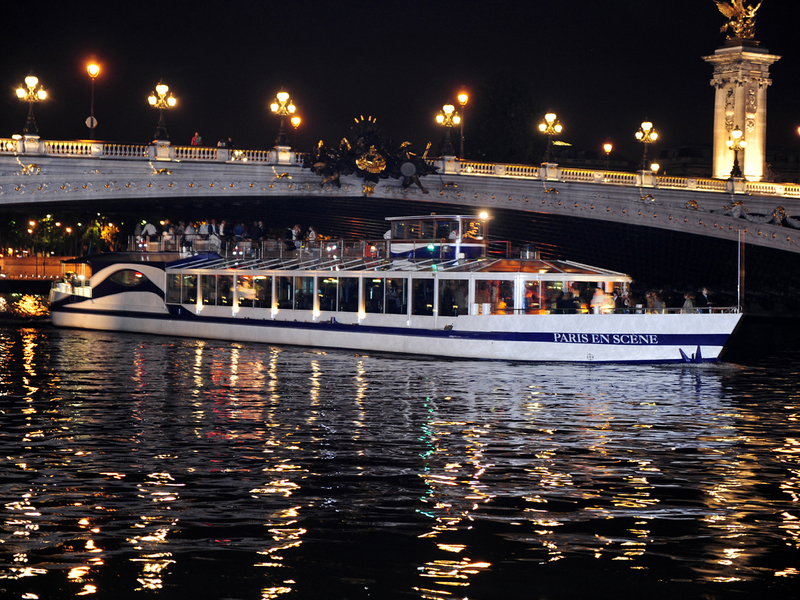 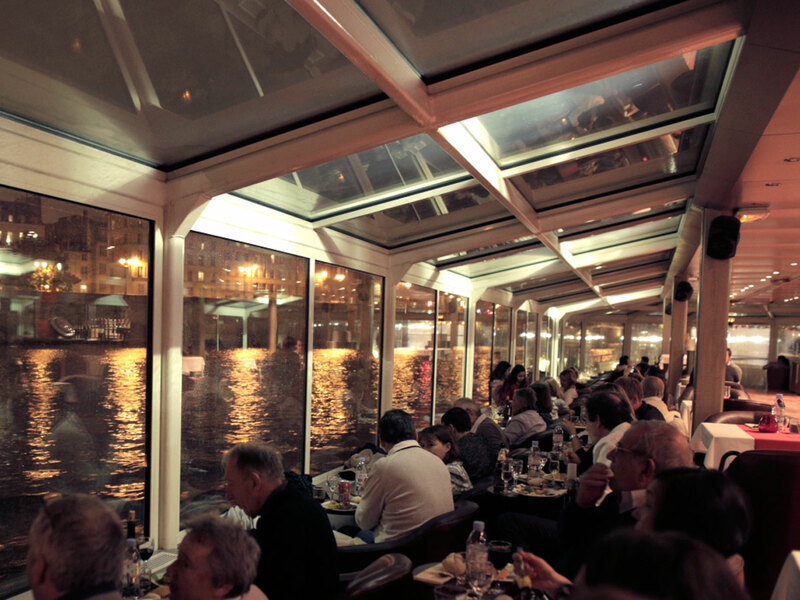 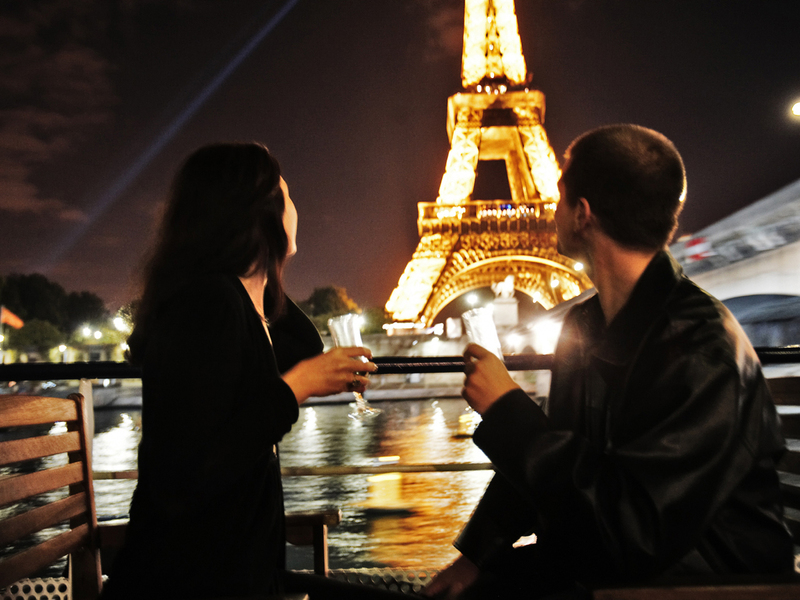 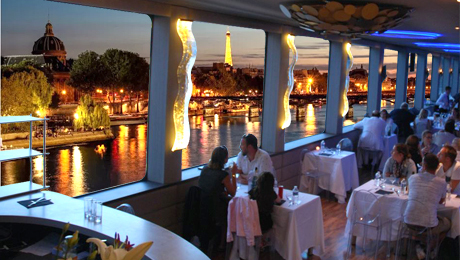 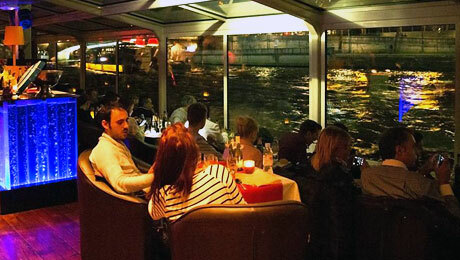 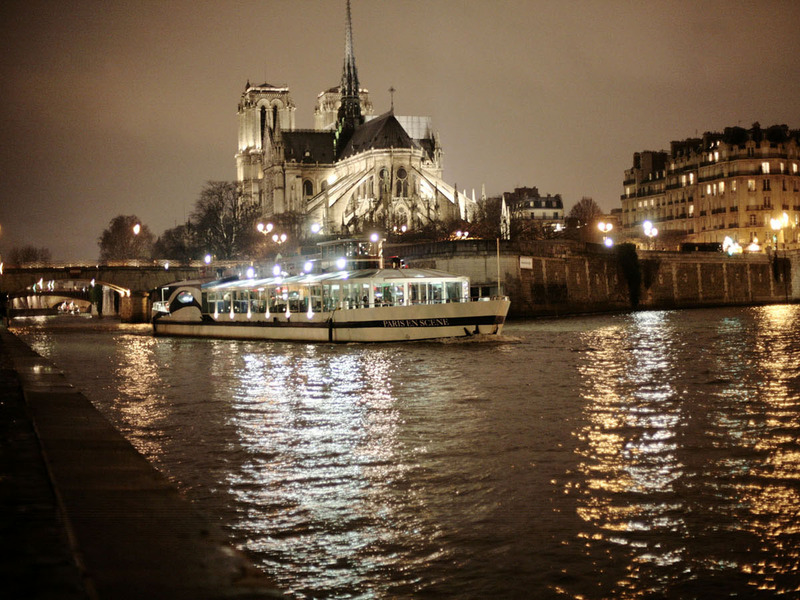 This original cruise combine the pleasure of a dinner cruise , of a commented cruise and the atmosphere of a lounge bar with a panoramic view on the monuments of Paris. 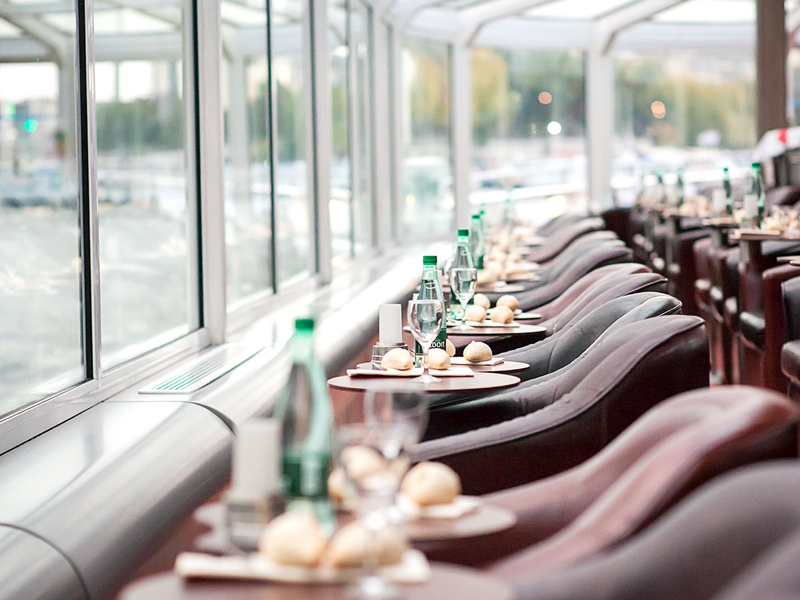 On board of a spacious and new boat, comfortably sit in the leather armchairs or the upper deck you will admire the splendid monuments and bridges of Paris through the huge windows while enjoying a tasty meal : Starter + main course + dessert.